In “Coming To Terms With Chinese Privilege”, Kan Ren Jie describes his personal experience in realizing the privileges that he enjoyed as a Chinese Singaporean. While this led him to question the twin national myths of meritocracy and multiracialism, I found his concluding rumination on the “cold dose of reality” unsatisfying. After all, confessionals such as Kan’s are aplenty and there is even an article with almost the same title dated Jul. 2, 2015 published on Thanapal’s website. Moving beyond on whether and in what ways we are or are not privileged, we need to embark on a more urgent task of interrogating and dismantling where and why these privileges arise. Indeed, this is a question that I have pondered for some time now: what do we do after we have checked and supposedly left our privileges at the door? It seems that for many liberal-minded young people today, our commitment to anti-racism, homophobia and other forms of oppression tends to stop at calling ourselves and others out for microaggressions, and acknowledging and deprecating ourselves for the privileges we may possess over others. In the article The Problem With Privilege-checking, Midlane argues that “the whole discourse around privilege is inherently destructive—at best, a colossal distraction.” As much as micro-aggressions and casual racism have very real effects on minorities, which Thanapal’s tumblr has effectively highlighted, it runs the risk of over-emphasizing the impact of individual, rather than, institutional racism. The types of privileges that Kan outlined in his piece did not arise naturally as a result of his being Chinese; rather, they are the products of historical, social and political forces over the fifty odd years of our nation-building project. After all, it is not news that our much-valorised myths of meritocracy and multiracialism are exactly that: myths. In Constructing Singapore, Michael Barr traced the historical developments underpinned by what he termed “a Singaporean version of Chinese ethno-nationalism” that has, among other consequences, led to the troubling under-representation of Malays here at Yale-NUS College and other tertiary institutions. Similarly, discriminatory employment practices are not uncommon. 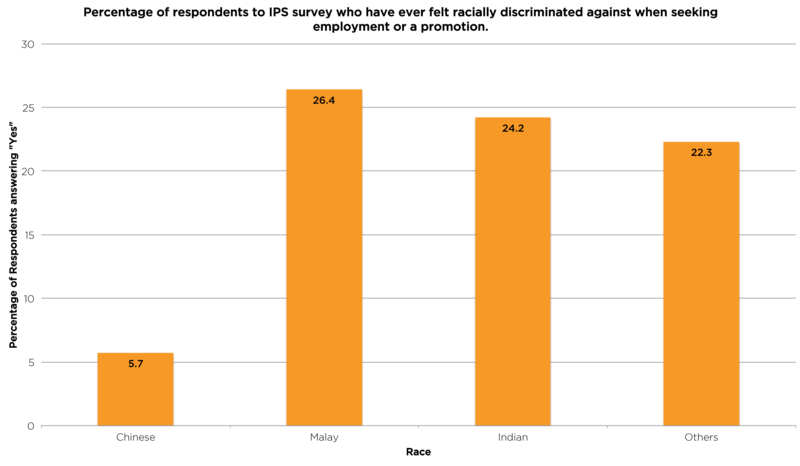 Instead, the government prefers a “promotional and educational approach” through the Tripartite Guidelines on Fair Employment Practices which sets out guidelines for “fair employment practices that should be adopted by employers to help prevent discrimination in the workplace.” Yet, such an approach seems wanting in light of a recent IPS survey that found that one in four non-Chinese Singaporeans have felt racially discriminated against when seeking employment or a promotion. Anti-violence activist Andrea Smith observed that “the undoing of privilege occurs not by individuals confessing their privileges … but through the creation of collective structures that dismantle the systems that enable these privileges.” At the same time, I suspect that many of us have, perhaps unknowingly, distracted ourselves with checking and calling out privilege because of the seeming impossibility of dismantling these systems. After all, the Goliath that is our government has not been the most kindly against its critics and detractors. Yet, that is what we must do. Acknowledging our privilege is important and clearly a necessary first step. However, we need and must move beyond identity politics and privilege-checking to interrogate instead the institutions and systems that confer and cement these privileges. Only by doing so can we finally utilize these privileges that we so religiously check, to progress towards the day when meritocracy and multiracialism are no longer merely national myths. Should Yale-NUS Compete as Separate Residential Colleges in ICG?